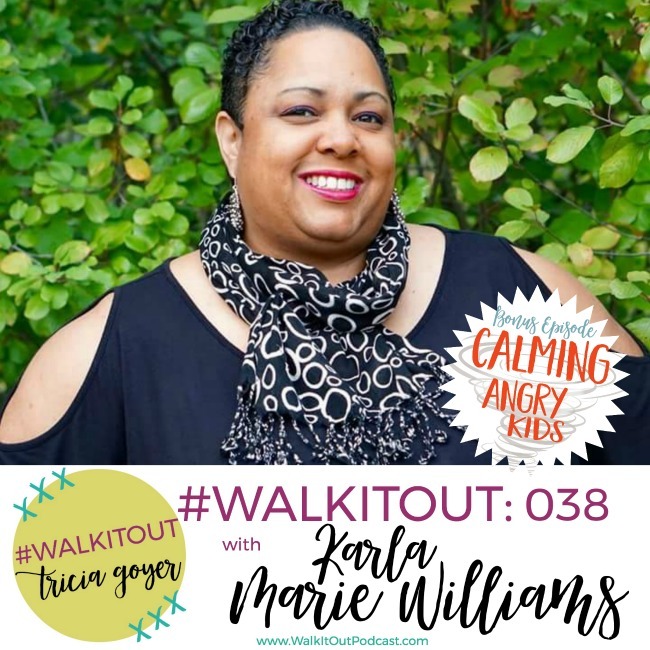 This week on the #WalkItOut Podcast, I’m excited to welcome Karla Marie Williams. In today’s episode, I’m excited to welcome Karla Marie Williams. Does your parenting look like you expected it to? Did you think it would be easier? Harder? Did you expect to have the number of kids you have? I never expected to have ten kids — if you include the ones that call John and me “mom” and “dad”, we have twelve kids . . . We have a house full of kids all the time. I never expected to have special needs kids. I never expected to have a kid with an autoimmune disease. I never expected so many things. Today Karla Marie Williams and I are going to be talking about studying our kids — learning about what they need. Karla is a mom six, and in today’s episode, you’ll be hearing more about her speaking, her writing, and her learning about how to parent kids with challenges! I just know that you’re going to enjoy this episode with Karla Marie Williams! You can listen above or on iTunes! I’d love it if you shared with your friends! God, I thank you so much for friends like Karla. I thank you that you bring people alongside me that have been where I have been and are going through the same struggles even though we live states apart—even though we have different circumstances and different kids, we have the same struggles. And I thank you that I have a friend that I can turn to and ask questions, that supports the parents that I do with angry kids. I thank you, Lord, for all those listeners out there that may be are struggling. I thank you that when we turn to you, you will instruct us, you will teach us in the ways we should go and give us counsel. I pray for all those out there who may need help, that they will just pause and turn to you. I pray a blessing over Karla and a blessing over her family and all that she is doing. Thank you.